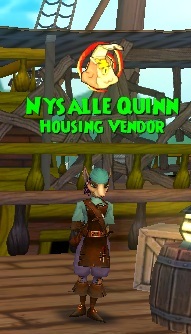 Today's segment is for the Flotsam housing vender. 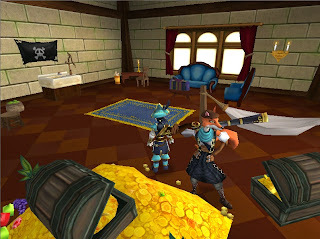 Pirate101 has come up with some very interesting items for this vender. 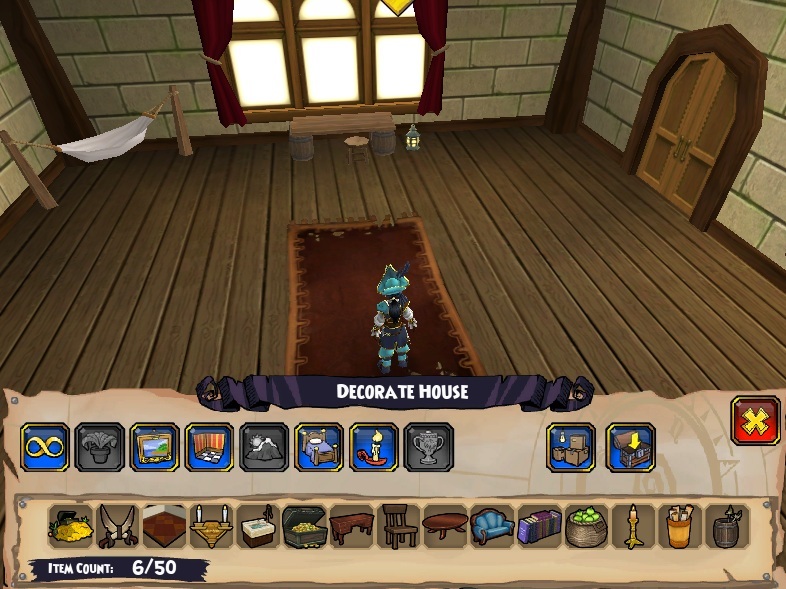 I decided to decorate the first house all Pirates receive which is your very own bunk house. 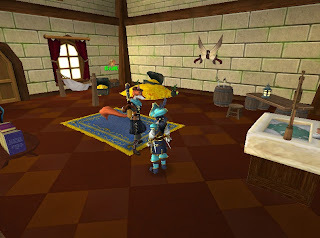 I am going to use these items to decorate my bunk house. The bunk house comes with the basics any Pirate would need. 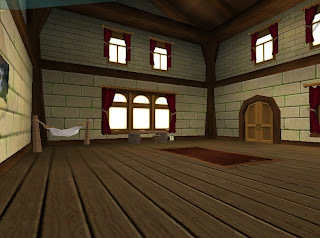 A place to sleep, sit to plan out adventures and a place to put your treasures. As you can see in this image above this bunk house already looks great like it is but i bet we can add some more life to it. 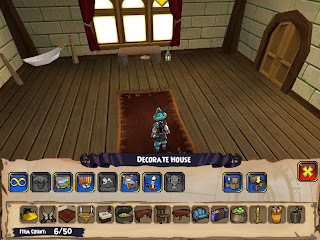 Lets click on the place items icon and open up the items list of the items we just bought from Flotsam, look at all that great stuff! 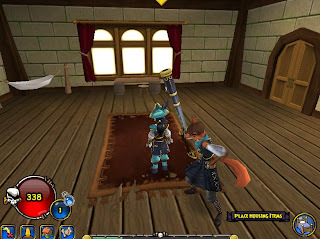 I got a new flooring ,some wall hangings, furniture and most of all my favorite piece the sink! These items are all found at Flotsam vender. Once I have all my items placed I moved them around a bit and behold a Pirate hideout fit for any Pirate ready to set out on their adventures through the skyways. The gold pile was the only things I added which I received from a quest. I removed the red torn rug and replaced with this royal blue to go with the sofa and chair added wall hangings and lighting. Until next time, happy house decorating. Does P101 also have free furniture pieces scattered around in various zones, the way Wizards does? I have not seen any yet. Maybe when it goes live?